Spider-Man: Homecoming isn’t a re-boot of Spider-Man movies. 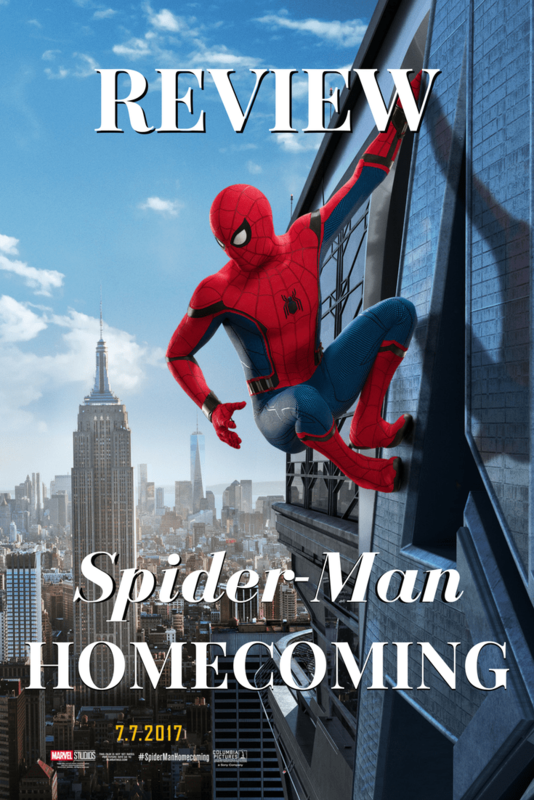 Unlike The Amazing Spider-Man movies, starring Andrew Garfield, this movie is fresh and masterful in telling Peter Parker’s story, which is already in progress. If you’ve been keeping up with the Marvel Cinematic Universe, you remember when Iron Man memorably called out “Underoos!” and ushered Spider-Man into Captain America: Civil War. That simple gesture told us that 1) Peter Parker had already been bitten by that notorious radioactive spider and 2) Spider-Man was already on Tony Stark’s radar. Spider-Man’s presence in Captain America: Civil War meant that we didn’t have to sit through yet another telling of his origin story. Spider-Man: Homecoming takes place after that movie, and doesn’t lose a step. Marvel correctly assumes the audience is bright enough to pick up where we left off and keep on trucking. 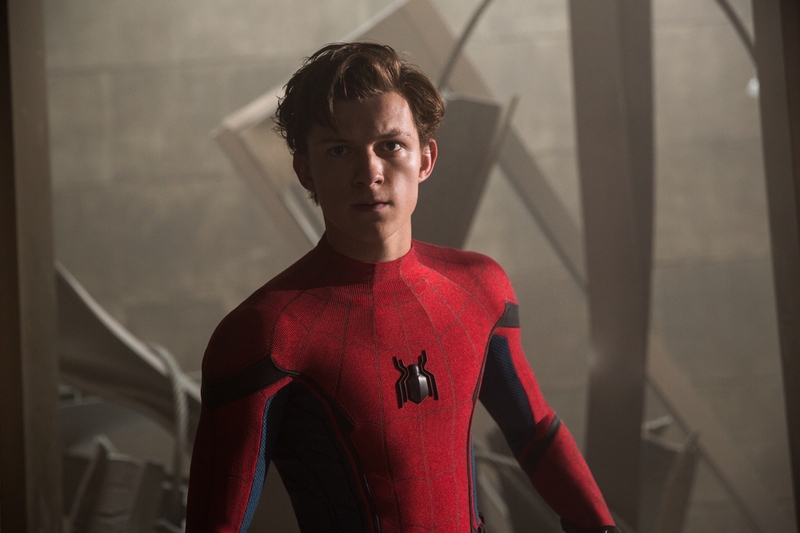 Although modern movie audiences are used to all kinds of variations of Spider-Man’s suit, the one Tom Holland wears in Spider-Man: Homecoming is a nod to Steve Ditko’s original design. His design included man-made web shooters and webbed wings, both of which play a big part in this movie. Some naysayers or the uninitiated may wonder how Spider-Man could sport wings, but rest assured, that’s not a new concept for Marvel. 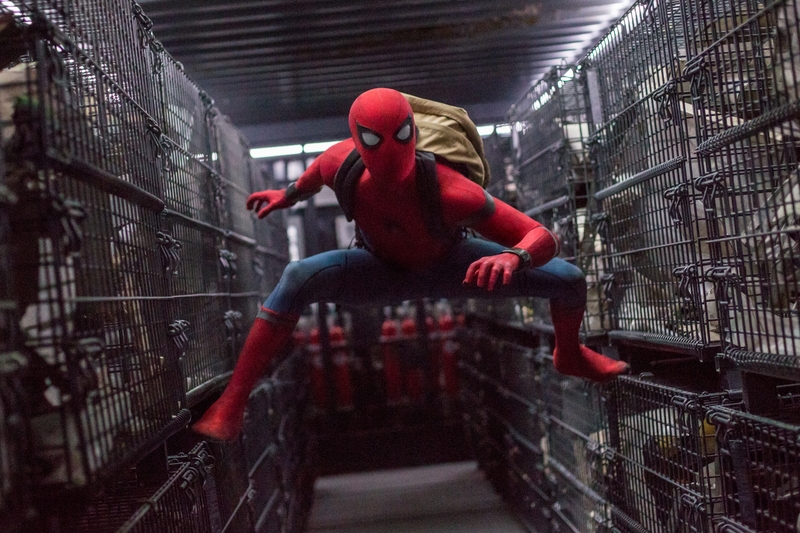 Spider-Man: Homecoming does something that superhero movies sometimes neglect to do: It builds the story, block by block, so that the action is believable, and even flawed. Peter Parker isn’t an expert at being Spider-Man. He hasn’t been doing this for years; he’s only 15 years-old. Too often, movies take their superhero from 0 to 60 with little more than a quick training montage. That kind of jump, from being a novice to being a badass, makes superhero movies feel too slick, too unbelievable. Although Peter fought with the Avengers, he is still perfecting his skills as a friendly, neighborhood Spider-Man, and the movie makes that very clear. Each action scene is very believable, because none of them show a perfect Peter. Another superhero movie pitfall is assuming that the audience just wants to get to the action. Unfortunately, a lot of noisy voices on Twitter reaffirm that idea every time they whine about how Batman should have been beating the crap out of Superman for the entire two hours of Batman v Superman: Dawn of Justice. The truth, however, is that stringing together nothing but action sequences that are set to heart-pounding music leaves everyone feeling empty at the end. It’s like eating donuts; they’re yummy at the time, but afterward, you’re still hungry and wondering what just happened. Spider-Man: Homecoming is more about Peter’s insides than his outsides. He’s a teenager, which means he’s contemplating his place in the world, with and without super-powers. The movie explores his struggle to grow up, to fit in, and to find footing with all the different relationships in his life. He has to adjust for his friends, for Aunt May and for Tony Stark. The script is dense, delightfully so. A lot of people complained that Captain America: Civil War was basically an Avengers movie. (Why is that a bad thing, anyway?) Once trailers for Spider-Man: Homecoming were released, a lot of those same people grumbled that, because Tony Stark showed up a few times, they were in for yet another installment of the Avengers. Not so! 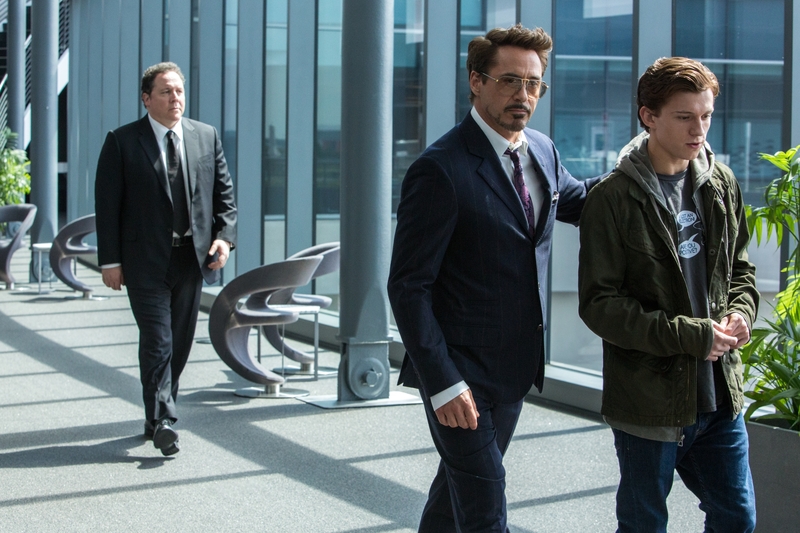 (l to r) Jon Favreau, Robert Downey Jr. and Tom Holland in Columbia Pictures’ SPIDER-MAN™: HOMECOMING. Yes, the Avengers have a presence in Spider-Man: Homecoming. How could they not? This is Marvel’s world, after all. Plus, Peter aspires to be an Avenger, and in the comics, he is one (off and on). Thankfully, Marvel kept the presence of the Avengers to a minimum, so that this is definitely a Spider-Man movie, not an Avengers movie. Hurray and huzzah! Spider-Man: Homecoming’s New York City looks like the real New York City, because not everyone is white! This movie is the most diverse Marvel movie yet. Peter attends school with kids from all different backgrounds, just like people in real life! By avoiding the portrayal of White Man’s City (which is what my husband calls anywhere that’s too white for its own good), the movie feels believable and modern. The whole cast does a marvelous (see what I did there?) job, but especially Tony Revolori as Flash. (You may recognize him from The Grand Budapest Hotel.) He’s evil and hilarious at the same time. Michael Keaton is the kind of actor that I sometimes forget about. Because he’s not interested in working constantly just to earn a paycheck, he’s not always visible. He carefully chooses his films. Then, when I see him, I remember how good he is. As Vulture, he’s really good. He finds the humanity in what could have been an over-the-top character. He is at once relatable and menacing. 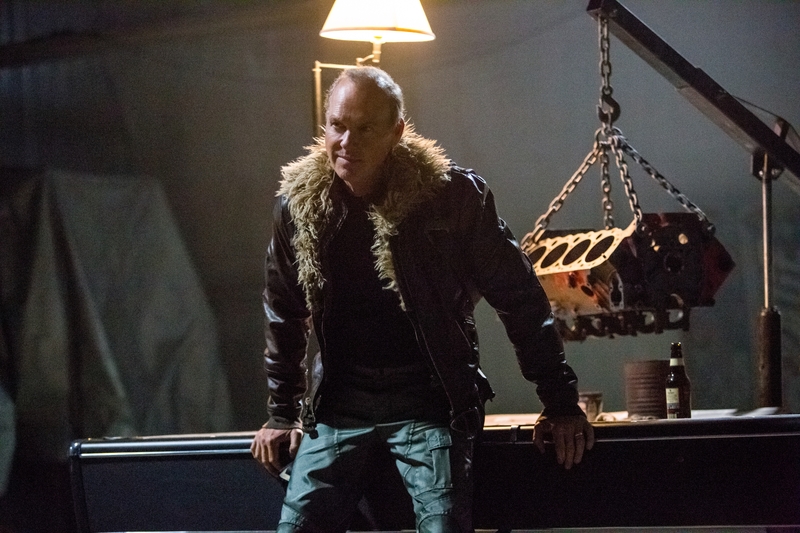 Michael Keaton stars in Columbia Pictures’ SPIDER-MAN™: HOMECOMING. The best reason to see Spider-Man: Homecoming, however, is Tom Holland. He is just crazy-good as Peter Parker. He plays all the facets of a super-powered teenager. More than one movie review has said that the reason he is so enjoyable as Peter Parker is because he, Tom, is just as excited to play Spider-Man as Peter is to be Spider-Man. It’s true! His energy is infectious. Holland comes across as sincere, enthusiastic, insecure and brave. His kind of bravery, however, is the true kind. He’s terrified in a lot of the fights, but he keeps on swingin’ anyway. Thanks for reading! Click here to get my free Guide to Marvel Movies, with a timeline, who’s who, post-credit scene info and Infinity Stone tracking. Tom Holland was the perfect choice for Spider-Man. Can’t wait for the next one!